A civilisation stretching back 10,000 years has many stories to tell. Orkney, where time travel is a reality. Orkney is a great holiday destination for visitors of all ages. It ticks so many boxes. With many things to see and do you’ll not want to miss out! Orkney welcomes visitors from around the world and offers accommodation that suits all tastes and budgets. Here's what you'll find on our islands - you'll be spoilt for choice! A very warm welcome awaits you in Orkney this spring. Look for and book a late availability accommodation. All Orkney properties listed for sale or for rent with local agents are searchable here in one handy location. Finest selection of fresh & smoked fish including our Smoked Salmon, Hot Cure Salmon & award-winning Kippers. Available at our shop or online. Free parking. Free Food Tasters. Orkney Produce. Jollys of Orkney have served premium quality fish and shellfish to Orkney for almost 60 years. We also offer a wide range of other popular Orkney products, such as cheese, meats, oatcakes, biscuits and Orkney Hampers. Today, the company remains a family owned business, owned by Orcadians George and Anne Stout. It is still thriving, and continues to use traditional methods in this modern age, such as smoking fish in their own kiln, as well as filleting fish and preparing shellfish by hand. As well as our main shop at Hatston, you can also visit us in our fantastic Kirkwall deli, The Brig Larder and browse through a large range of our fish produce as well as a selection of Orkney Fudge, Cheese, Oatcakes, Meat and more. Sign up to receive our newsletter and keep up to date with the latest news from our beautiful, busy islands. 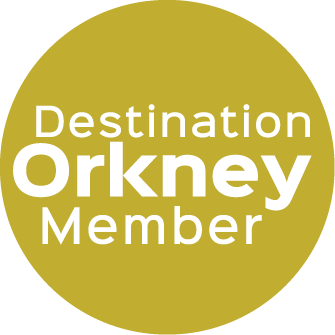 Destination Orkney is the membership organisation representing over 500 businesses, individuals, and other bodies with an interest in the successful and sustainable development, management and marketing of Orkney as a visitor destination. Click the logo above to find out more. Copyright © 2014 - 2019 Orkney.com.